The multi-generational house as a tiny world. 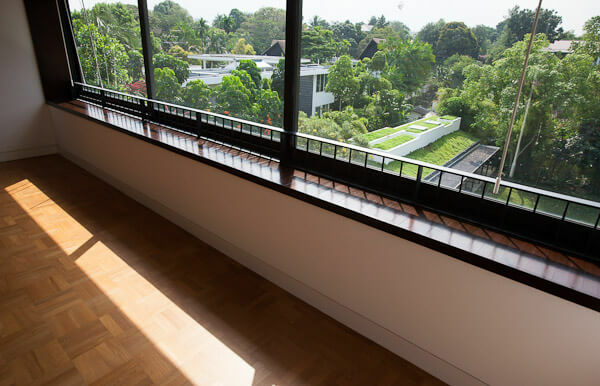 Much of the design for this house grows from the site, a highly unusual piece of land for a Singaporean home. There is a 9-meter slope from the road down to the rear garden, and within the property are four distinct platforms of earth. While this creates dramatic options for siting, it also carries some liabilities. If the house stands two stories at Belmont Road, it appears as a colossus from the base of the rear garden. Given this, our intention was to refine a massing in which one large house might read as a smaller one sitting upon a podium. We have long been interested in “perverse” architectural objects. By this, we mean those elements of a building that are, in some sense, out of place or a little bit over-the-top. Many of our favorite architects, including Joze Plecnik and Gunnar Asplund, worked intentionally with odd architectural components, refining their expression until they appeared to stand at the edge of normality. 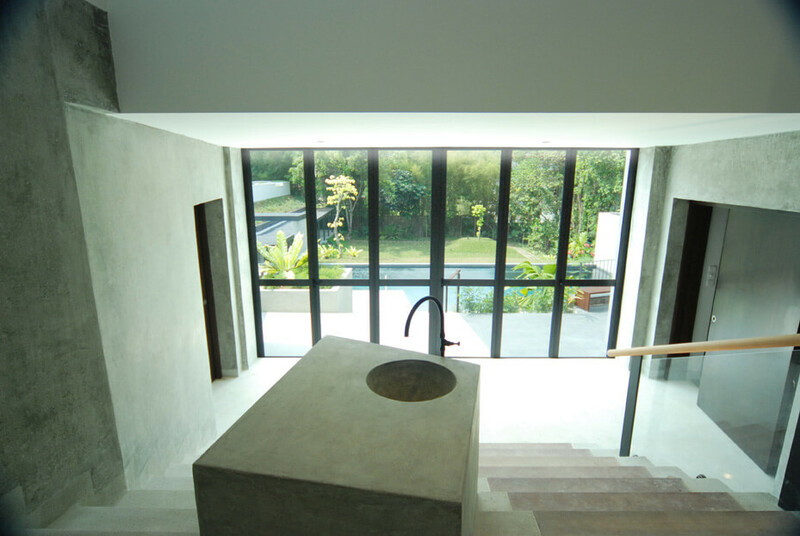 This house presented an opportunity for such an element, as visitors must pass through the private level of the house to reach the public rooms at the bottom floor. For this reason, we designed a large and somewhat baroque stair that tumbles through the very center of the house, from front door to pool deck. This stair is broad enough to incorporate rooms at half-levels (stealing a trick from architect Adolf Loos) and to merge with a service stair to the kitchen.